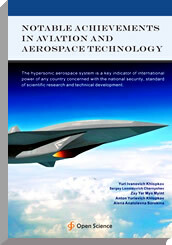 This book presents the historical overview of the development of the reusable hypersonic aircraft systems. Methods to predict aerothermodynamic characteristics for hypersonic aircrafts and application of cognitive approach in computational aerodynamics are offered. The basic principles of hypersonic propulsion systems: rocket engines, turbofan, turbojet, ramjet, scramjet and the dual-combustion ramjet are explained. The book also highlighted that we need to consider medico-biological effect and to improve biological and medical system for human in space flight due to future space exploration plans to deliver manned spacecrafts with crews to the Moon and Mars. Doctor of Physical and Mathematical Sciences, Leading Researcher, Central Aerohydrodynamic Institute named after professor N.E. Zhukovsky, Russia; Professor, Moscow Institute of Physics and Technology (State University), Russia; Academician of the Russian Academy of Natural History. Doctor of Physical and Mathematical Sciences; General Director, Central Aerohydrodynamic Institute named after Professor N.E. Zhukovsky, Russia; Professor, Moscow Institute of Physics and Technology (State University), Russia; Corresponding Member of Russian Academy of Sciences. Candidate of Physical and Mathematical Sciences; Doctoral Candidate, Moscow Institute of Physics and Technology (State University), Russia; Professor of Russian Academy of Natural History. Programming Engineer, Moscow Institute of Physics and Technology (State University), Russia. M.Sc. student, Moscow Institute of Physics and Technology (State University), Russia. This book is more suitable for students, specialists, scientific researchers and the readers who are interesting in high-speed aircraft engineering and aerospace technology.